We are just coming off the back of a set of reasonable spring tides, the weather should be good for the weekend and hopefully the water will have cleared by the end of today. This should give us some good conditions that should see some good fishing. I expect to see a number of Ray and Smoothound caught over the weekend. The Smoothound fishing has been good in other parts of the South Coast, so I can’t see why it wont be in Dorset. I am out this morning in search of Bass, Pollock and Wrasse on lures. There have been plenty of reports of Bass being caught at numerous marks. I spotted the commercial Bass boats fishing close to Portland yesterday. This indicates that the Bass have moved West from Swanage, and are now in the area. 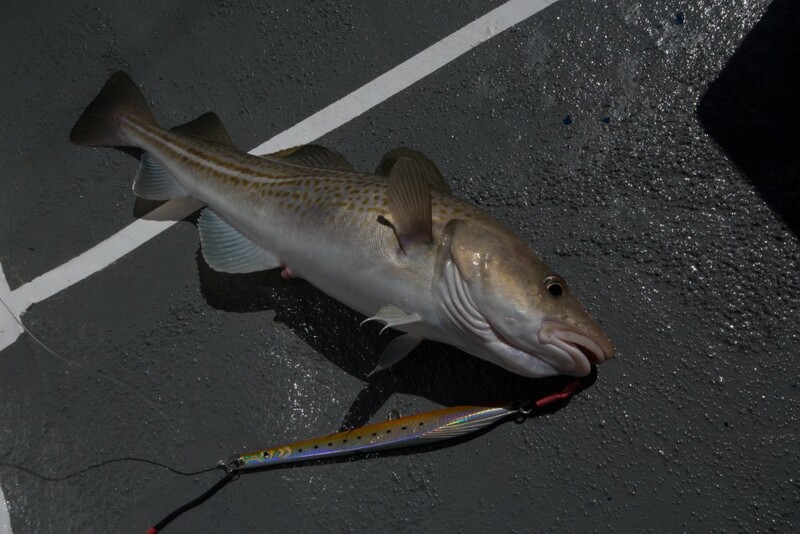 I managed to get out again with Luke Pettis on Snapper, for another go at the Cod on the wrecks. You may remember from my report a few weeks ago, that I had a good trip out with him last time. This trip was even better. I tried a different technique for the Cod this time, and opted to use two Eddystone 2013 Eels above a Pirk. The results were spectacular, with Cod on every drift except the first one. Some times I even managed a triple shot. I will do a full report with a short video in the next couple of days. Chesil Beach: Calm with a milky green colour to the water. This should clear by later this afternoon. Portland: Calm. The water is lightly coloured. Chesil Beach forecast: I am looking forward to a good weekend of fishing, with the potential of Bream, Smoothound, Rays, Bass and Mackerel. All these species can be targeted from the Eastern end of the beach, from Chesil Cove and past Bridging Camp, if you want to walk to get away from the crowds. If you are after Plaice, they can also be caught from the same marks, but the Western end towards West Bexington and Abbotsbury normal produces more numbers. Portland: Perfect conditions for the usual rock dwelling species such as Wrasse and Pollock. They can be caught on lures and bait. Portland Harbour: The harbour is fishing well at the moment, with the chance of Bass, Mullet, Pollock and Wrasse, as well as FLounder. Weymouth Bay: I have heard good reports from Bowleaze Cove and Preston Beach. 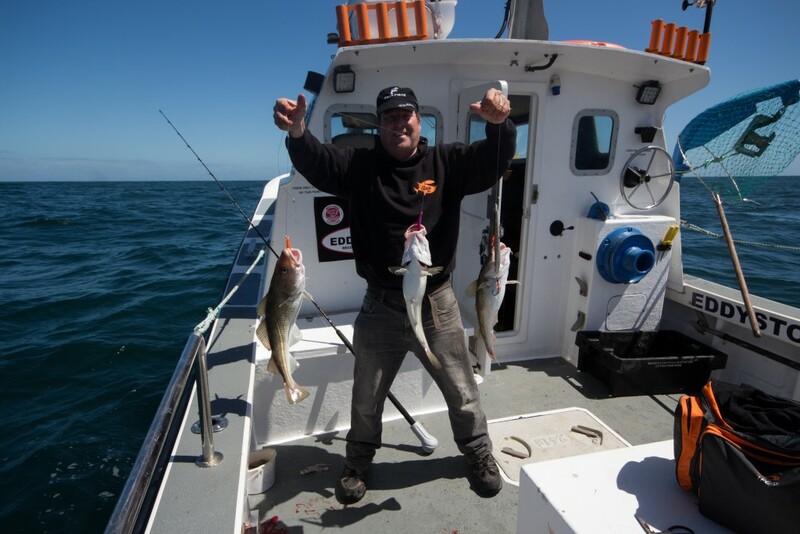 Fish including Bass, Dabs and even a few Gurnard have been showing. Fishing Tails > All Articles > Reports > Good tides, good fish! 2 Responses to "Good tides, good fish!" Sorry Adrian but we are not going to give away information for bass marks for lure fishing any more than we already publish in our posts. Knowledge on where and when bass show up is hard won and revealing the details exactly would quickly ruin a mark. Part of the joy of lure fishing is finding the window of opportunity by being at the right place and the right time. Having said that there is a lot of information imparted in the reports, and the more you read the more you will glean. For a quicker fix hire Sean for a guiding lesson and I’m sure he will help get you on the right track. Keep an eye out for a new feature from us coming soon which should help you and others who are taking up lure fishing for the first time. Good luck on your quest there are many places to catch bass in Weymouth I’m sure you will find one soon.